Looking to add a new lens to your DSLR kit? You might enjoy browsing a site called LensHero. To get started, you enter the type of camera you're using and the amount of money you have to spend (you may want to consult your spouse beforehand). Then pick the category of glass that interests you, such as macro, wide angle, telephoto, fisheye, low light, etc. LensHero then presents you with lenses that meet your criteria, complete with specs, pricing, user reviews, and of course, a link to buy. I enjoyed just seeing what types of lenses were available for my Canon 60D, and how much they cost. I like the low light options myself. So, for fun, or for serious shopping, you might want to visit LensHero. Here are 10 items that I keep in a 3" plastic filter box that are invaluable when I'm working on the go. It's my photographer's survival kit. 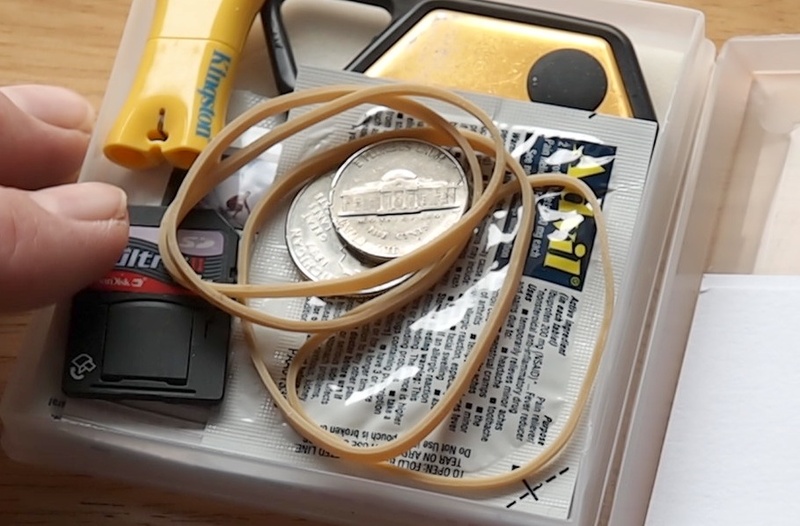 Photographer's Survival Kit - When you're in the field, many of these small items become invaluable. Listen to the podcast to learn why. Note: TDS Podcast listeners (iOS and Android) have a movie waiting for them that shows me demonstrating all of the contents of this kit. 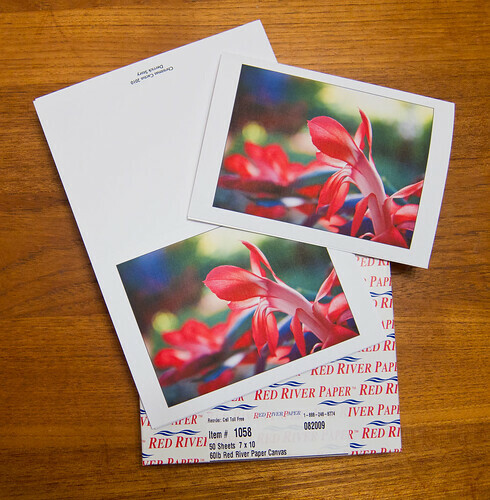 I've created a step-by-step guide for laying out fine art note cards in Aperture 3 and printing them with your inkjet printer using Red River Paper stock. A few things have changed since I published the original article for laying out cards in Aperture, so I recommend that Aperture 3 users follow the settings in this article. Finished Custom Note Cards, originally uploaded by The Digital Story. The biggest difference that I encountered using Aperture 3.1 and Mac OS X 10.6.5 with an Epson R2400 printer, was that creating a "custom paper size" befuddled the printer causing it to do nothing. To work around this problem, I designed a new template in Aperture 3 that is based on a standard Letter Size sheet (8.5" x 11"). By doing this, you should be able to print these 7" x 10" cards (folded to 5" x 7") with just about any photo printer. I recommend that you turn on Aperture's Proofing Profile (View > Proofing Profile) for the type of paper you're using. It saves you from having to make test prints. Speaking of paper, there are a variety of surfaces to choose from in the Red River Card Shop. You can get high quality envelopes there too. I generally use #7163 for my card projects. One finishing touch to consider is creating a handsomely designed 4"x6" insert for your note card. I print these in iPhoto '11 using one of the flat card templates. They look great! Can You Get Serious Sports Shots with an Olympus 14-150mm Zoom Lens? The Olympus E-PL1 is a good spectator camera for sporting events. It doesn't raise eyebrows from security officials, yet it packs a serious imaging punch. Normally, I use a prime lens, such as the Zeiss 135mm f/2.8 with adapter. But when the Miami Heat came to town to play the Golden State Warriors, I opted to try the Olympus ED 14-150mm f/4.0-5.6 zoom instead. 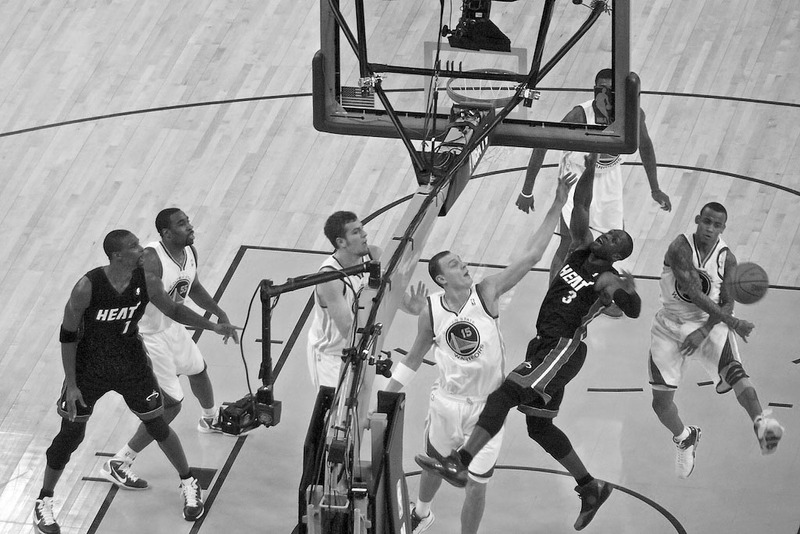 Monta Ellis swats away a Dwyane Wade shot during a recent visit to Oracle Arena. Photo by Derrick Story. Click on image for larger version. My concern was the f/5.6 maximum aperture when zoomed out to 150mm, which is an equivalent 300mm because you double the focal length on micro four-thirds cameras. But the lens is so light and compact, making it quite tempting for these casual outings. At ISO 1600, I was able to squeeze out a 1/250th shutter speed at f/5.6 to get shots like this during the game. The focusing was very accurate, and I got quite a few good images, even from the upper deck. So, I'd have to say, "Yes," you can get terrific shots with the 14-150mm. You do have to deal with the slower maximum aperture, but the lens doesn't attract attention at the security gate, and it is capable of recording clean, sharp images. Often when I'm cleaning up around the studio, I wonder to myself why I keep so many older digital cameras. Then I have days like yesterday, and I remember why. I wanted to shoot a time-lapse movie for a personal project I was working on. Nothing fancy, but time lapse was exactly what I needed. I looked at all of my current cameras that I'm using or testing, and not one had that function built-in. I would have to get some sort of accessory. We're talking about good cameras here: Canon S90, 60D, 5D Mark II, T1i, Olympus E-P1, E-PL1, E-5, E-30, and Sony T200. Not one had time lapse function built-in (that I could find anyway). 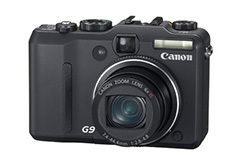 There was one exception (other than my iPhone): my trusty Canon G9. It has a time lapse option while in movie mode. I charged its battery, put in a fresh memory card, mounted it on a tripod, and recorded a nifty time-lapse movie that was exactly what I wanted. No post production. No fooling around. Red River Paper is offering 10% off on any inkjet printable greeting card purchase if you use the discount code STORYCARD10 with your order before Jan. 3, 2011. These are fine art cards, scored for easy folding, with matching envelopes available. They'll look great with your photograph printed on them. "The Digital Story / Red River Paper greeting card contest was a great success," comments Drew Hendrix. "Many thanks to the Digital Story readers and listeners who signed up." You can still show your support by visiting Red River's Interwebs page. You'll get lots of interesting printing information in return. Also, be sure to check out the "Fan Offer" on their Facebook page. Red River Paper is the longest running sponsor of The Digital Story. Be sure to thank them for helping to keep our weekly podcast on the air. I'm happy to report that the TDS Podcast App is now available in the Android Marketplace. You can download the app for $2.99, which helps support our weekly show. If you want to know more about the podcast app, check out my article about its inception. If you're shooting with a Canon S95, Nikon D7000, or want to get the new Olympus E-5, then run, don't walk, to download Lightroom 3.3 or Adobe Camera Raw (ACR) 6.3. You'll need Photoshop CS5 or Photoshop Elements 9 to take advantage of ACR 6.3. Or, you'll need Lightroom 3.x to update to version 3.3. 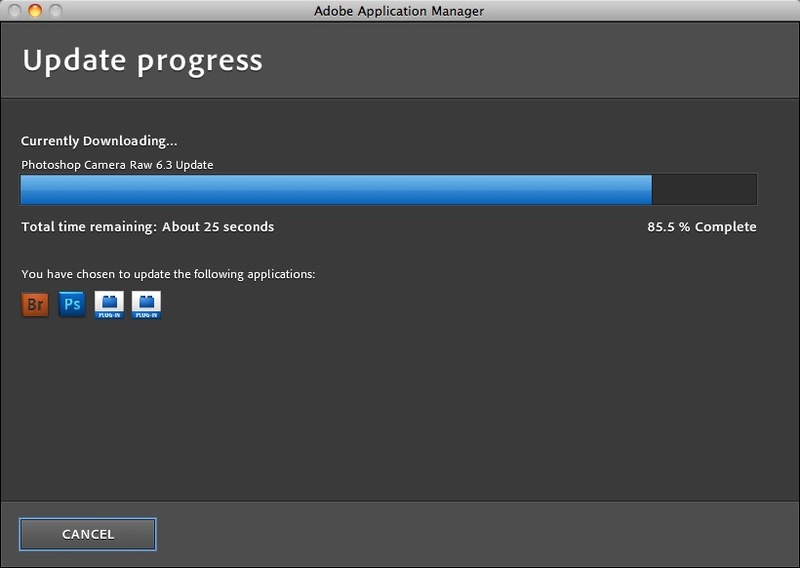 You can use the built-in Adobe Application Manager (as shown here) or go to Products Update Page to download the latest versions.